Happy Halloween! Are you a bit of a last minute planner? ✋ Look a me frantically raising my hand ✋ No worries you can have a FUN Halloween party with very little planning and effort. Woo! Count Chocula bars are the star of the show here. Chocolate cereal + marshmallows for the win here folks! After you make these gooey bars, a riff on the classic Rice Krispie Treats, save the cereal box. You will want to cut off the front of the box which features the Count himself. Cut the front into 16 pieces and now you have an instant puzzle. Woohoo! Make a game of it by trying to see who can finish the puzzle the quickest. 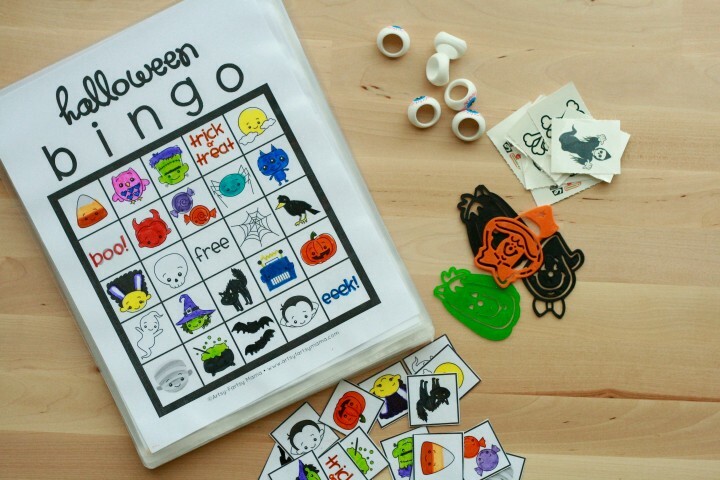 Download a fun Halloween Bingo game. I got mine from Artsy Fartsy Mama (soooo many cute ideas!) I downloaded the black and white version and my girls and I colored them in last night. Then I laminated them so we can use the for years to come. Candy corn will be used to mark our spots, and cheap Halloween rings, bookmarks, and tattoos will serve as prizes. A synch! I made my first blog video (vlog?) about our fun Halloween party. I hope you enjoy! Procrastinate no longer! 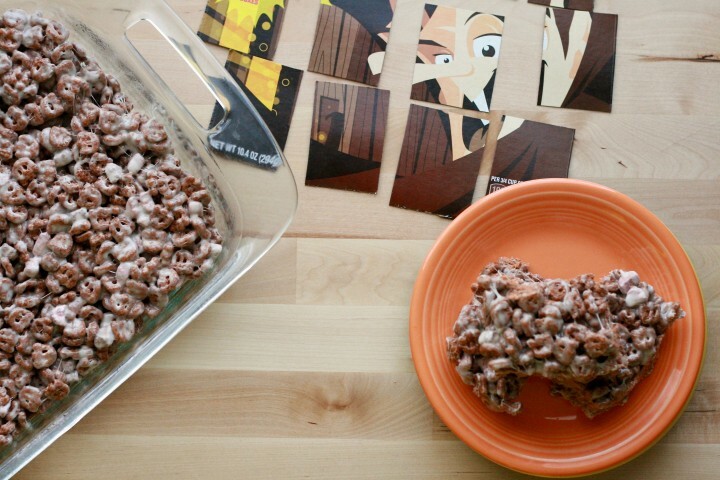 Whip up a quick batch of my Count Chocula Bars (seriously takes less than 10 minutes), print off a fun bingo game, crank up Thiller and Monster Mash on repeat, and get to partying. These bars look so scrumptious! Such fun games, too! How cute those Bingo game. My children are grown up now but I can use the idea for my teaching Japanese language and treat my students with yummy no fuss chocula bars;D. Thank you for sharing. I am sure that making crispy tea time treats is the best thing to do with most sweet cereals. They look great fun. 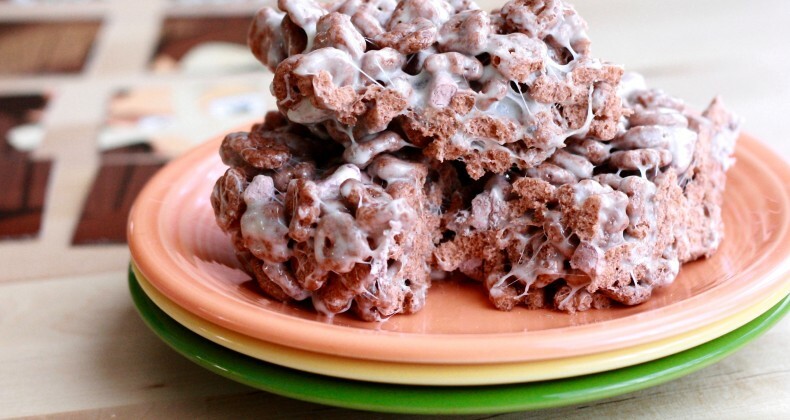 I love this post, I pinned this to my kid-friendly recipes board, nice twist on the traditional rice crispies treats!